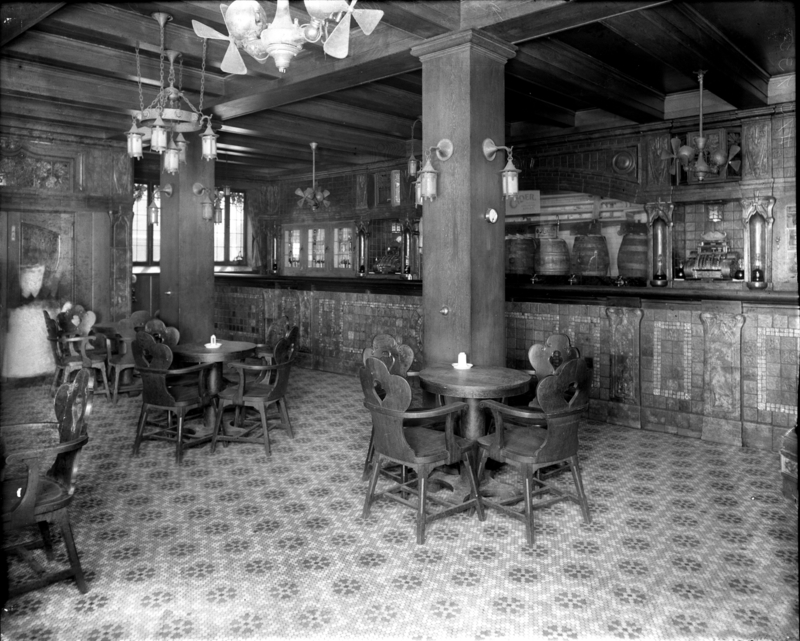 View of interior of bar or saloon; tiled bar with kegs; tables and chairs, wooden ceiling beams. Recorded in glass negative ledger: "D/Saloons - Griswold Bar." Photography courtesy of the Detroit Public Library's Burton Historical Digital Collection. Our 32nd annual bus trip to the Genealogy Center at the Allen County Public Library in Fort Wayne, Indiana, on Saturday, June 1, 2019, is now available for booking. Once again we have three pick up locations: Southfield, Livonia, and Chelsea. You can book your reservation online at the DSGR Store, choose EVENTS then choose the location, number of seats and any lunches for the return trip you wish to pre-pay (selection is made on the bus the morning of trip). If you would rather pay by check, click here for the printable form to fill out and include with your check.